I first had Daal Parantha at my in law’s place. My mother in law is a great cook. She has the knack of preparing delicious food in a jiffy. She loves cooking and loves feeding others all the more. She once prepared Daal Parantha for breakfast and I fell in love with the recipe. Since then I have been experimenting with different daals (lentils) to make paranthas. This is a great way of using leftover daal. However, I purposely reserve a bowl of daal to make them for my daughter’s tiffin. 3-4 Chopped spring onions or one finely chopped onion. Empty daal into a kneading plate. Add chopped onions and coriander. Add salt. Add a cup of flour. Mix well and knead the flour. Add flour slowly. It should be just enough to knead soft dough. 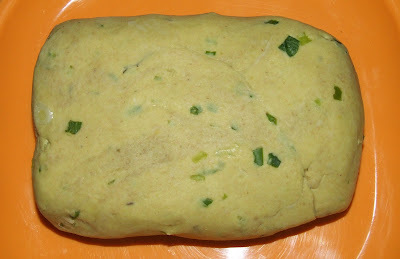 Use daal to knead flour. Do not add water. Now roll out paranthas. 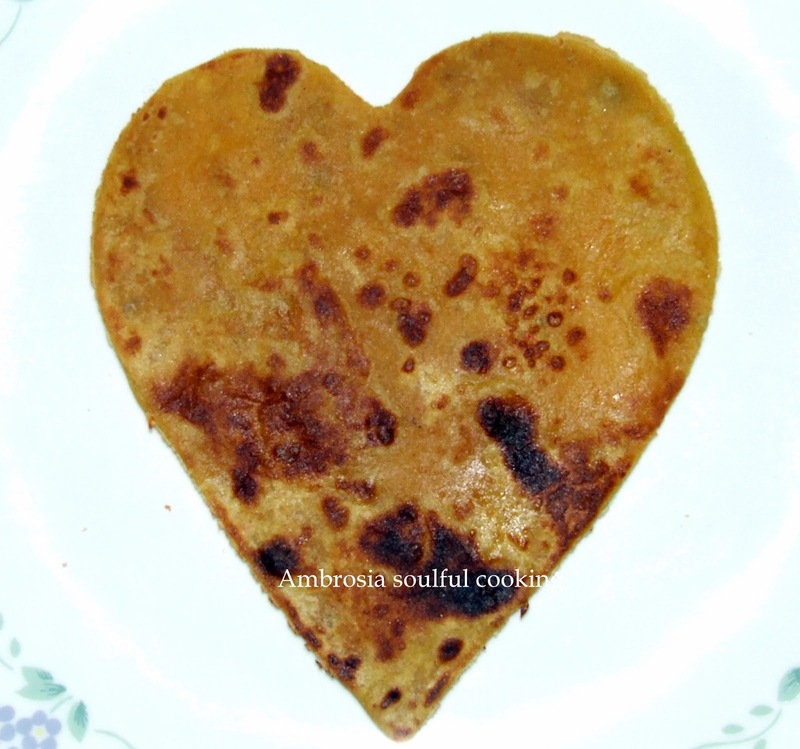 Place parantha on the hot plate and cook till spots appear. Smear a little oil and cook till golden. Repeat on the other side. 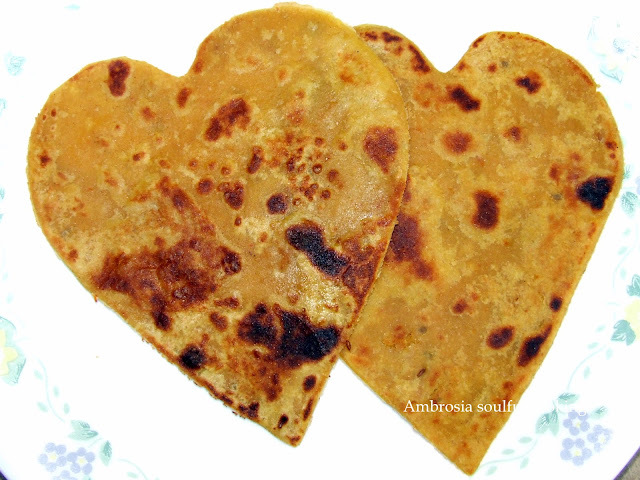 Daal paranthas are extremely soft. 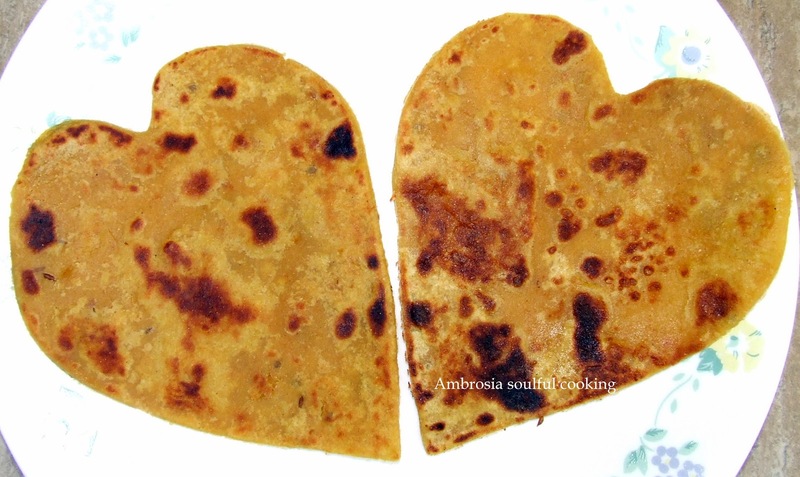 Enjoy these paranthas with curd and pickle or just plain with a veggie. My Notes: make these paranthas with Arhar (toor), moong or malka (red lentil). If the daal has heeng tadka (asafetida tempering), omit onions. Heeng gives a great flavour to paranthas.